CHARLESTON – Wealthy special interests groups pulled off another victory in a West Virginia Supreme Court race. After spending more than $2 million in support of Beth Walker’s candidacy, these anonymous groups have duplicated the feat Don Blankenship pulled off 12 years ago. Blankenship spent more than $3 million to help Brent Benjamin win this very seat. Justice Benjamin was then twice the deciding vote to overturn a $50-million judgment against Blankenship after refusing to recuse himself. The U.S. Supreme Court found that Benjamin should have in fact recused himself because of the $3 million contribution posed a risk of bias in the case. This time around, without public knowledge of what donors and what companies were behind some of these outside efforts to elevate Beth Walker onto the court, West Virginians will never know if Walker is deciding a case on its merits or returning the favor of her campaign supporters. There is a reason that West Virginia has twice passed legislation to make our courts less partisan and less susceptible to outside influence: to prevent bias from skewing justice. Just last year, our legislature took the step to remove party IDs from all judicial elections and make them nonpartisan instead. 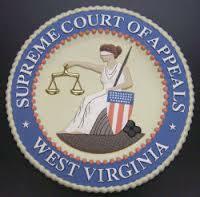 In 2010 after the Caperton v. Massey U.S. Supreme Court case, the Mountain State established a judicial public financing system where candidates wouldn’t have to rely on support from lawyers and special interest contributors who frequently have cases before the court and could focus more on engaging everyday voters. “Our courts should never be at risk of being anything but fair and impartial. 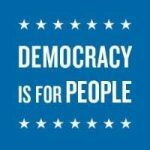 Our judges should be selected on their merits not on attacks ads or the money spent by wealthy special interests,” said WV Citizens for Clean Elections co-coordinator Natalie Thompson. Walker’s victory puts West Virginia’s Supreme Court elections at risk of returning to a time before the public financing system was established. When court seats are only available to those who have the backing of secret money groups, barring a number of good candidates who could otherwise participate. To address the money spent by special interest groups, the West Virginia legislature must make election transparency a top issue. A majority of the money spent by third-parties in the Supreme Court race came from undisclosed sources. A bill that would require any entity that spends more than $1,000 in a calendar year to disclose its donors to the Secretary of State’s office was introduced during the 2016 legislative session. “Full disclosure of campaign cash is an important step to ensuring our state remains in the power of the people. All West Virginians have a right to know exactly where the money is coming from,” stated Thompson.